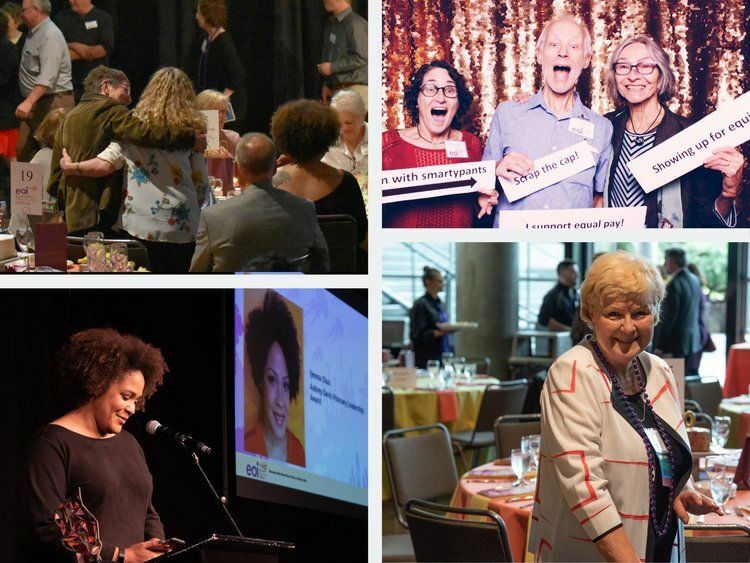 Each year, our dinner draws supporters, activists, legislators, and friends to celebrate progressive policy victories and re-focus on our shared vision for the future. We'll enjoy a cocktail hour from 5:30-6:30 with passed hors d'oeuvres, drinks, music, and policy-themed games. At 6:30, we'll share a delicious meal and take in an engaging, educational, and inspirational program featuring winners of the Aubrey Davis Changemaker Award, a keynote address, and an artist spotlight. More information to come- stay tuned! We hope you'll join us for an uplifting and celebratory evening with the EOI community. Reserve your spot today! Interested in sponsoring the event or joining us as a table captain? Contact Development Director Sam Hatzenbeler at sam@opportunityinstitute.org or visit our website for more information! Includes live music, social hour, delicious hors d'oeuvres, dinner, and dessert, a hosted bar, an inspiring program, special recognition at the event, free parking, premium seating, and a personal take-home gift. Includes live music, social hour, delicious hors d'oeuvres, dinner, and dessert, a hosted bar, an inspiring program and special recognition at the event. Includes live music, social hour, delicious hors d'oeuvres, dinner, and dessert, a hosted bar, and a fun, inspiring program. Economic Opportunity Institute has partnered with Give Lively to securely process your online donation. This transaction will appear on your credit card statement as "Economic Opportunity Institute". This transaction is subject to Give Lively's Terms and Privacy.